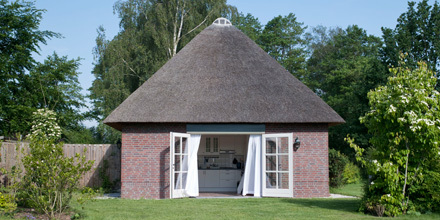 B&B The Bosuyl or the Kerkuyl for 2 adults excl. breakfast(minimal two nights). Tourist tax €1,- pp pn. Tourist tax €1,0 pp pn. Extra person €30,- per night. Weekend from Friday 15.00 to Sunday 11.00 hours. (2 nights). Midweek from Monday 15.00 to Friday 11.00 hours. (4 nights). Week from Friday 15.00 to Friday 11.00 hours, or from monday to monday. *During the week from Monday night to Thursday night. 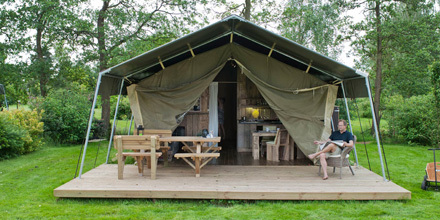 For questions or reservations please email info@minicamping-uylkenshof.nl or call +31642535203. We will respond as soon as possible. The cottages are available.The lodge tents are available from the 19th of april.